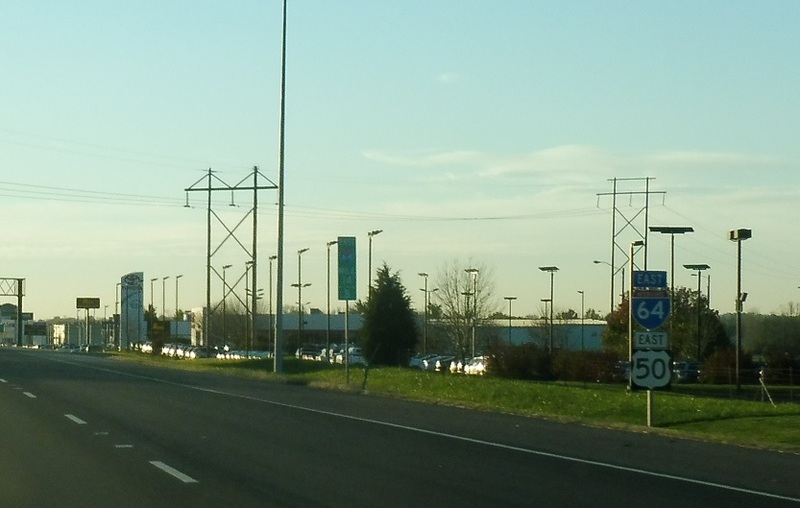 Reassurance shield after the 159 interchange. Reassurance shield after the Green Mountain Rd interchange. 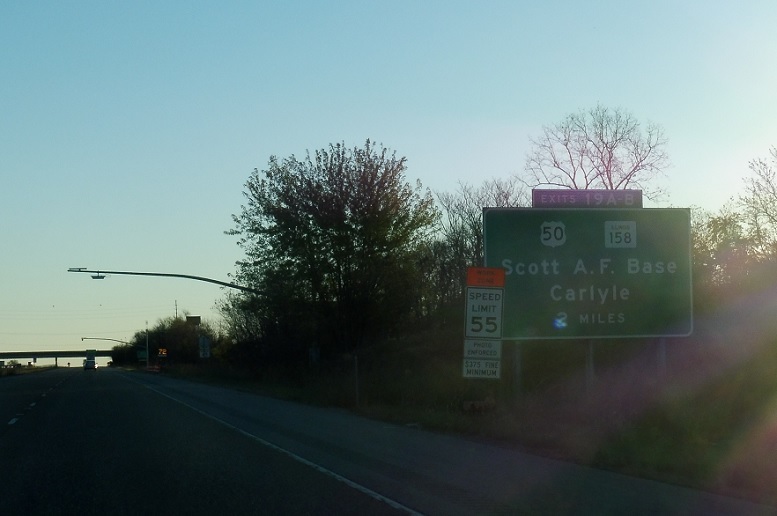 Two miles to the US 50 split as we approach Route 158. 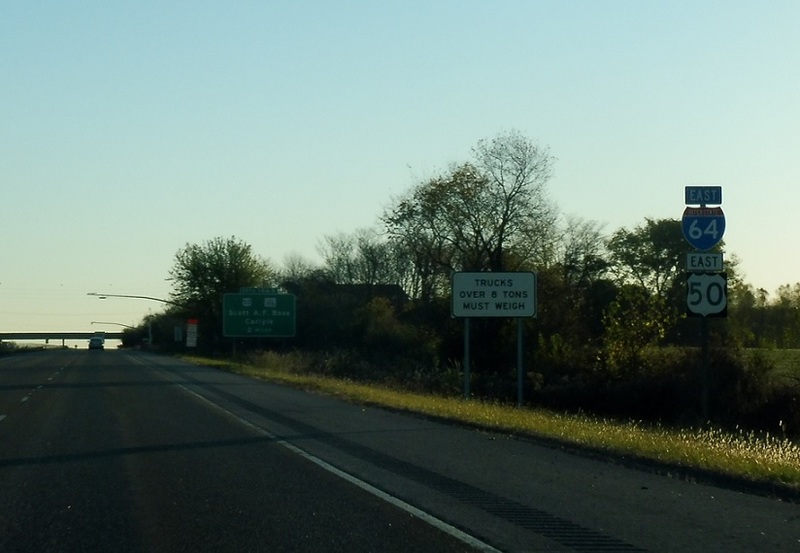 In a mile US 50 will split from I-64 as we approach Illinois 158. 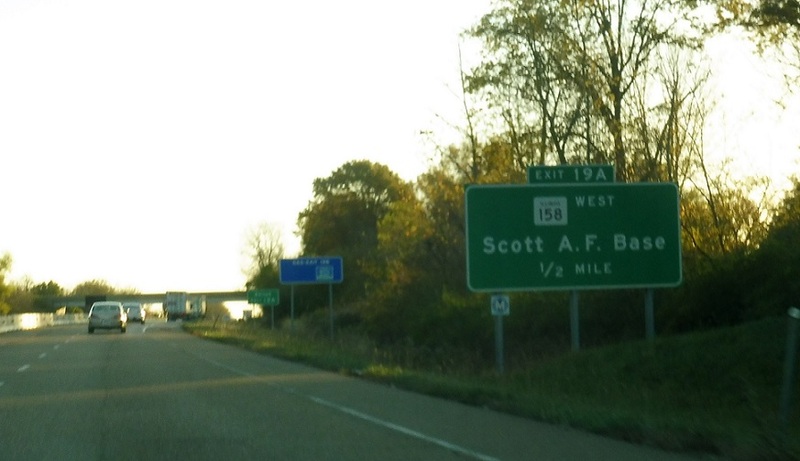 158 heads west to Scott AFB. 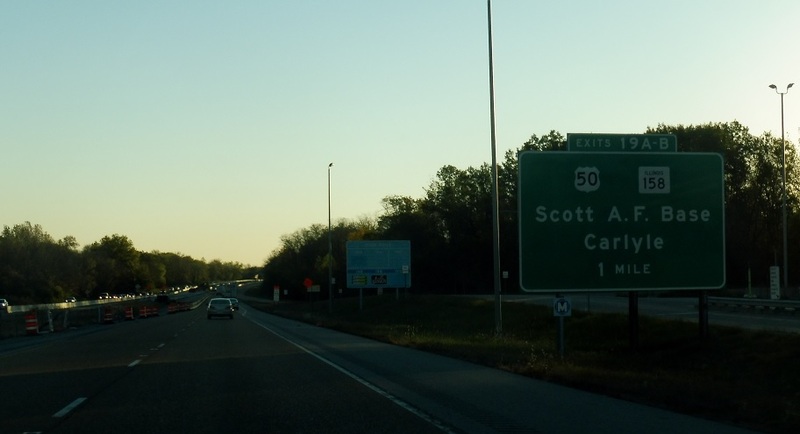 Exit for Illinois 158 west. 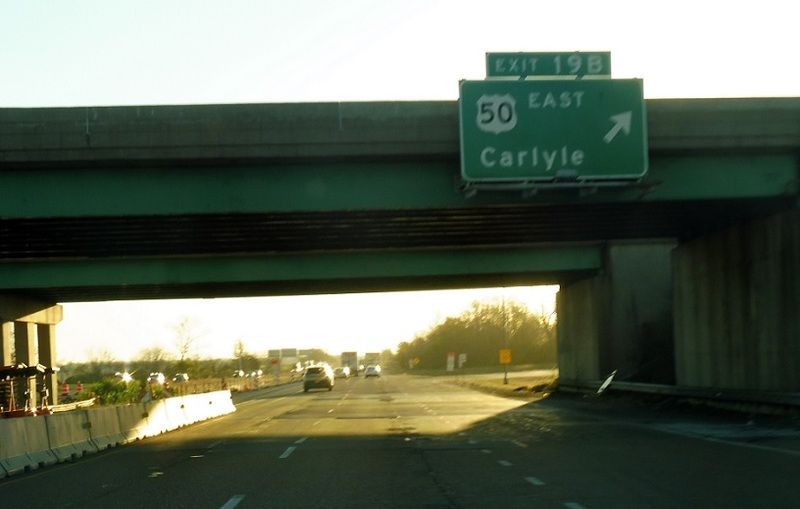 US 50 heads east into Carlyle. 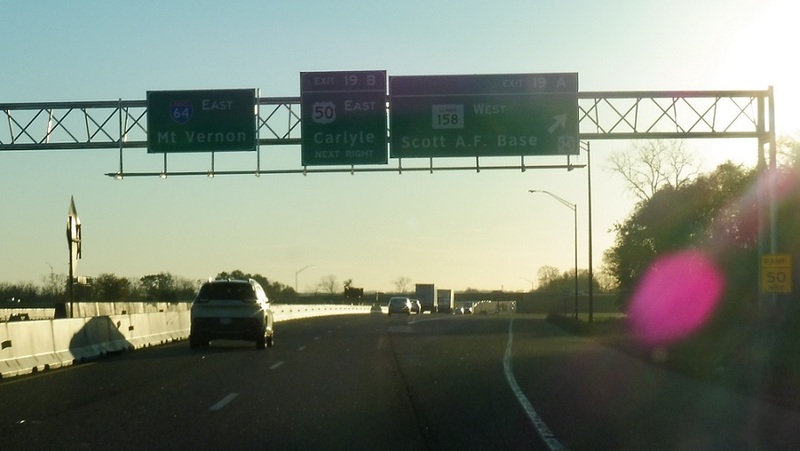 Stay on I-64 for Mt. Vernon.